ISLAMABAD: Pakistan�s trade deficit narrowed down by over four per cent in the first eight months of this fiscal year from a year ago owing to double digit growth in exports and a paltry growth in imports. In absolute terms, the trade deficit fell to $12.542 billion in July-Feb 2013-14 from $13.187bn over the corresponding period last year, showed Pakistan Bureau of Statistics (PBS) data on Monday. The ministry of commerce has estimated that exports will pick up in the months ahead because of duty exemptions on goods following GSP+ scheme. But growth in exports will depend on improvement in energy supply to the textile industry in Punjab which has yielded the desired results. 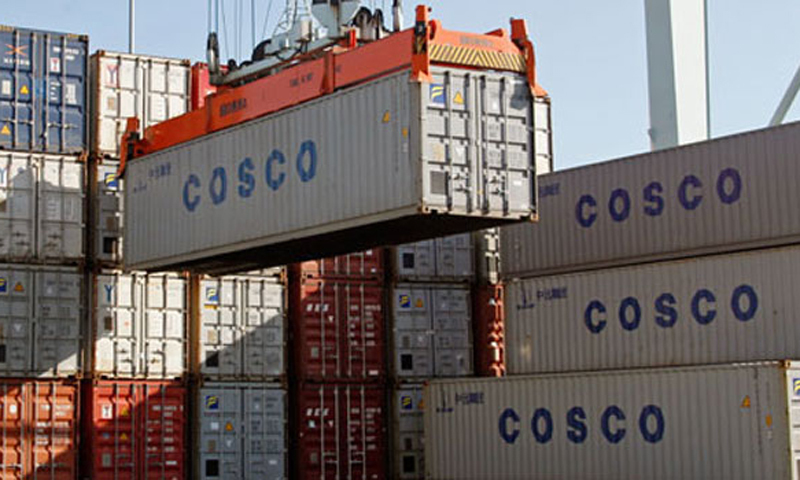 On a monthly basis, exports reached $2.167bn in Feb 2014, up by 18.09pc from $1.835bn in the same month last year. Export proceeds grew 6.20pc to $16.866bn in July-Feb period this year from $15.882bn in the corresponding period last year. Depreciation of the rupee also facilitated export of goods from the country in the first eight months of the current fiscal year from a year ago. In terms of rupee, export proceeds witnessed growth of 16.23pc in July-Feb 2014 over the corresponding months of last year. Contrary to this, imports reached $29.408 billion in July-Feb period this year, up by 1.17pc from $29.069bn over the corresponding period of last year. On monthly basis, imports witnessed a growth of 6.41pc to $3.6bn in February 2014 as against $3.383bn over the corresponding month of last year.